CACI is currently looking for outstanding IT candidates to join our DHS team in the National Capital Region (NCR). CACI is providing a variety of IT services to this customer including cyber security, identity and access management, risk management, cloud integration and engineering, field support services, service desk, application deployment and optimization, and operations center support services. 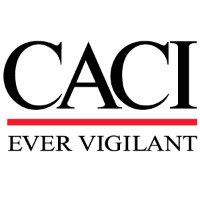 CACI is looking for an experienced Systems Engineer to support the DHS Continuous Diagnostic & Monitoring PMO in all phases of the CDM implementation, and maintenance for DHS Headquarters and Components. The DHS CDM PMO ensures DHS data centers, CMaaS Commercial off-the-Shelf (COTS) tools were integrated to manage assets across the DHS enterprise network. Management of these tools requires planning, provisioning, configuration, maintenance, sensors, data feeds and governance. The Systems Engineer will provide solutions engineering balancing technical and non-technical approaches to solve business problems and defining a solution. The Systems Engineer will provide engineering services in the execution of system requirements analysis, design, development, implementation and system lifecycle maintenance. Review licensing, production hardware and software requirements, Standard Operating Procedures (SOP), training and other documentation. Collaborate with other components within DHS on a variety of IT projects and programs to increase the cybersecurity posture of DHS. Assist DHS in evaluating commercial-style technologies and best-of-breed techniques being deployed by CDM integrator to optimize the DHS cybersecurity posture. Review documentation and make recommendations on test documents; performance testing, independent verification and validation; integration testing; user acceptance tests; test reports; SOPs, training and other documentation. Coordinate with components on future CDM requirements. Support reviews of the CDM program and provide recommendations on required approvals; release notices; move from test environment to production environment; and deployed solutions.